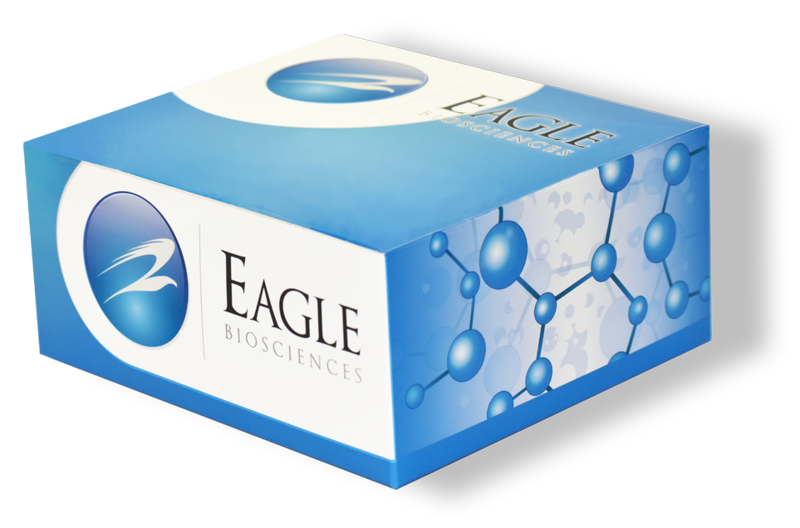 The Eagle Biosciences Aflatoxin Immunoaffinity Column provides total determination in food and feed focuses on the enrichment step of extract using immunoaffinity column (Immunoaffinity Chromotography (IAC)) in combination with quantification with HPLC (High Performance Liquid Chromotography). The Aflatoxin Immunoaffinity Column is for research use only and not for use in diagnostic procedures. This instruction of Aflatoxin total determination in food and feed focuses on the enrichment step of extract using immunoaffinity column (Immunoaffinity Chromotography (IAC)) in combination with quantification with HPLC (High Performance Liquid Chromotography). Accepted laboratory extraction methods should be followed throughout the procedure. If the criteria of organic solvent tolerance, elution process of analyte, and working range of column are followed you will see full performance with the IAC column. If problematic matrices are applied, many pretreatment methods of aflatoxin (AFG2, AFG1, AFB2 and AFB1) determination in food and feed will show low sensitivity because of interfering substances. This method of content determination of aflatoxins combines the high selectivity of an immunoaffinity column (IAC) with its potential to concentrate eluate with the additional step of purification by HPLC column. Please notice that this instruction focuses on the handling with the IAC column. For the commodity extraction step please note that a literature method is provided. The given apparatus (e.g. HPLC system) might serve as example among other possibilities. Assuming that 25g sample is extracted by a total of 100ml methanol/water (60/40 v/v) and if organic solvent proportion is varied, the dilution of extract with PBS should be adapted accordingly in the enrichment step. On the other hand, if proportion of sample quantity and volume of extraction solvent is altered, the calculation of gram equivalents must be corrected. For groundnut meal as an example of a problematic matrix, literature method of Roch et al.1 could be applied. 4ml extract (see above, contains the quantity of aflatoxins of 1g sample) is diluted with 16ml 50mM PBS (pH=7.4) and then applied in a reservoir on top of the B-TeZ IAC Aflatoxin 3ml column. To maintain full performance of the column, please make sure that proportion of dilution buffer in the solution on top of the column is not too small. A proportion of 12% methanol, resulting in this example enrichment, does not affect column performance.